It is generally considered safe, but not ideal, to store coffee in the freezer if it is stored in a vacuum-sealed package. However, coffee that is stored in a vacuum-sealed package is allowed to age before it is packaged, so it's not at its peak freshness before it is frozen, and certainly nowhere near as good as freshly roasted coffee after it is frozen. It is generally not advised that you store opened packages of coffee in the freezer. Instead, buy coffee when you need it or store coffee in a dark pantry away from light, heat, moisture and odors. "The freezer is a moist place." The air in the freezer is dry. The vapor pressure of water or ice is much lower at -20 C than at all warmer temps. It may be that letting the cold coffee sit open on the kitchen may allow some condensation into the coffee to occur, but that may be prevented. "Freezers hold odors." Freezers, because of the low temperatures and therefore low vapor pressures of the smelly substances, generally don't smell much (unlike refrigerators). Still, the freezer is an enclosed space and the coffee should be stored in a sealed container. "Freezing and thawing damages volatile oils essential to the coffee flavor." Storing at -20 C should both retain the essential volatile oils in the coffee, rather than letting them evaporate, and the low temperature should suppress the rate of the oxidation reactions that destroy those molecules essential for the flavor. Freezers are not always moist, but they can get moist. Although stand-alone freezers do not hold moisture, most refrigerator-freezers have air transfers between the freezer and the refrigerator. Although the air will generally be at the appropriate temperature to prevent vapor from forming, opening and closing the freezer door (especially for longer periods of time when you're reaching for that bag of summer berries in the very, very back) introduces vapor and changes the temperature, as does the air transfer between the fridge and the freezer (albeit to a lesser extent). Freezers do hold odors. The distinctive odor of "freezer burn" is a prime example of a freezer adding odor to a frozen food. As the Whirlpool site points out, "food in the refrigerator and freezer can lose its flavor and even take on the flavors of other food being stored, such as fish and onions. You may have to thoroughly clean both food compartments to eliminate unwanted odors. Be sure to wrap or store odor-causing foods in tightly sealed containers to control recurring odors." Freezing and thawing coffee may damage the essential oils. Freezing and thawing foods multiple times is almost never a good idea, as it can impact the flavor and aroma. Also, heating and cooling foods repeatedly tends to introduce moisture into the food and then allow it to condense or evaporate, depending on the temperature. In pu-erh tea the shift between hot and cool is desirable, as it causes a natural fermentation that adds depth to the tea's flavor. That's not the same thing, as the temperature range doesn't usually include freezing, but it is an example of how shifting temperatures can change the flavor and aroma of a food or beverage. Freezing and thawing coffee could cause substantial shifts in the placement of oils and water in the coffee, and may encourage oils to move to the surface of the bean during freezing, and then dissipate when the coffee is thawed. 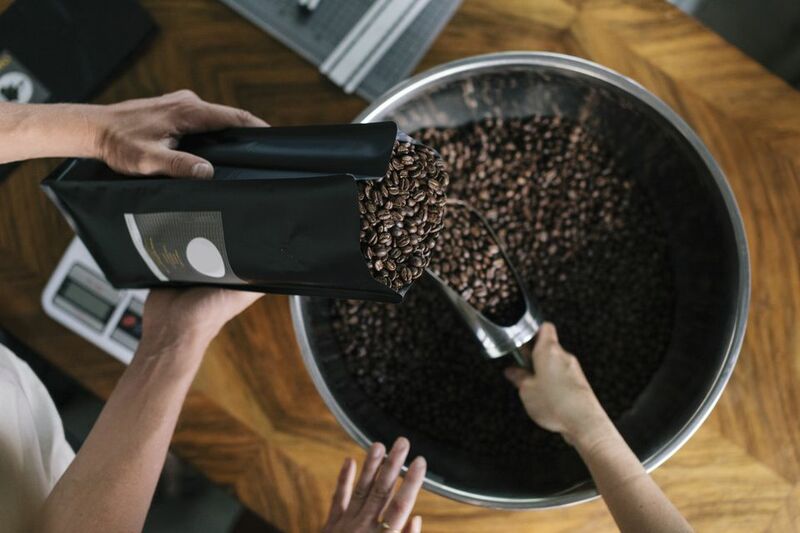 However, the main concern in freezing and thawing coffee is that coffee beans are highly porous and that the change in temperature may redistribute moisture from the inside of the bag into the beans themselves, adding unwanted odors.